The Department for Education (DfE) has “failed” to manage providers operating its traineeship programme, a senior MP has claimed. 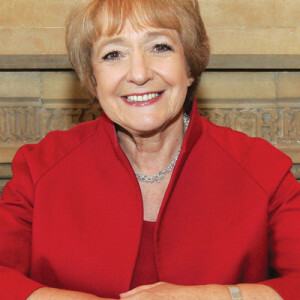 Public Accounts Committee (PAC) chair Margaret Hodge (pictured) made the comments in response to a report from the National Audit Office (NAO), which showed that just 200 out of 459 eligible training providers who said they would deliver traineeships had recorded starts as of June this year. The report also raised concerns that proposals to make employers pay for up to a third of the costs of training and assessment of apprentices aged 16 to 18 could lead to a further fall in the number of starts in that age group — already down from 129,900 in 2011/12 to 114,500 in 2012/13. It comes as a government impact assessment, out on Thursday (September 4), conceded that the funding reforms could affect 16 to 18-year-old apprentice numbers differently to older learners, and said the situation would be “monitored”. Mrs Hodge said the DfE needed to do more for young people considered to be not in education, employment or training (Neet). Association of Employment and Learning Providers chief executive Stewart Segal welcomed Ms Hodge’s comments, and the light shed on poor traineeship take-up by the NAO report. Association of Colleges chief executive Martin Doel said: “FE and sixth form colleges have worked hard to ensure young people stay in education or training. “However, in the next few months, Education Secretary Nicky Morgan has some tough decisions to make about the funding her department provides to educate and train 16 to 18-year-olds. A DfE spokesperson said: “The report from the NAO recognises the success of the apprenticeships programme, and that it is value for money. A PAC inquiry into 16 to 18 participation in education is due to begin on November 3, and the education select committee is due to look at apprenticeships and traineeships in the autumn. Many providers don’t have the resource or expertise required for the ‘none learning aspect’ of what is required to run a successful Traineeship programme; that is the upfront employer engagement and client relatiosnhip management as well as a specialist learner engagement team that works with a network of partners and organisations to help find eligible Traineeship learners. Couple the eligibility criteria with the client demands and the outcome of this is that the model only works on a very small scale, such as 1 or 2 learners in a small location or else you need to be in a city where access to learners and employers are in more abundance and can work together. Layer on top of this the 16-19 NEETS who are unknown/not tracked/fallen through the cracks…. this makes a successful and meaningful Traineeship programme a tall order that presents many risks to the learner and the provider.